Until now, major outbreaks of undeadness have been prevented, but due to the global urbanization and local overpopulation the risk of uncontrolled outbreaks is increasing. Many experts believe such an outbreak is in fact inevitable. If humanity is to survive the coming apocalypse, we must be prepared and be able to make the right choices in every possible situation. 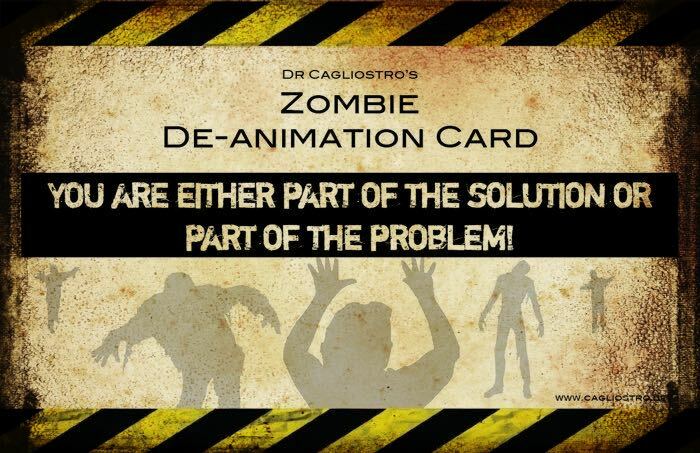 By carrying the Dr Cagliostro Zombie deamination card, you help the people around you to make difficult decisions concerning your re-animated body. Now, Dr Cagliostro gives you the chance to take responsibility! The Apocalypse is coming. If you are not a part of the solution you’re a part of the problem! 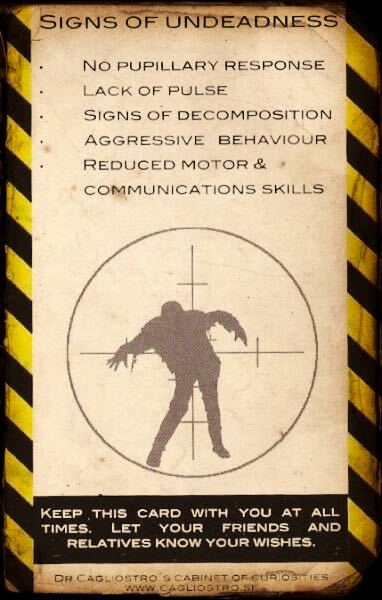 Quick reference for recognising the undead. 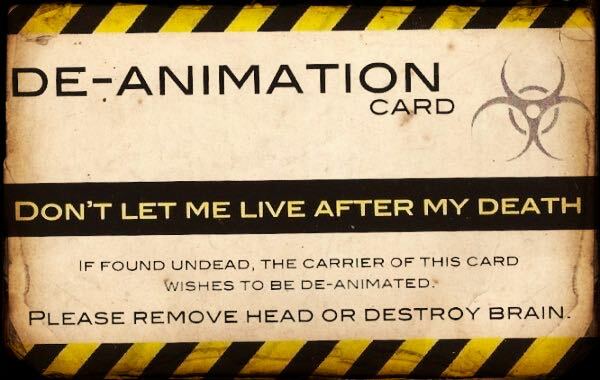 For the moment the only way of purchasing the De-animation card by finding The Dr Cagliostro Cabinet of Curiosities and buying them in person, or buying them through on of our retailers. 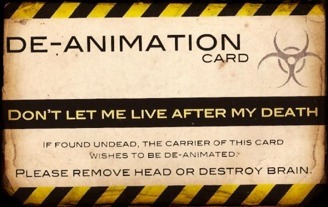 If you are a retailer and wish to sell The De- animation card, please contact us for information.